A National Wheelchair Curling Camp is being held at the Green Bay (WI) Curling Club from June 2-5 with the goal of increasing the athlete pool and improving medal prospects at future World Championships and Paralympic Winter Games. 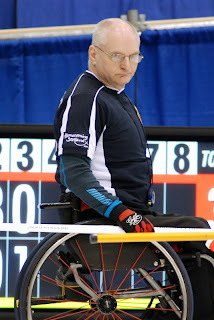 I would like to thank Al Whittier and those involved in the wheelchair curling development program based at the Lennoxville CC in Quebec for their donation in support of the work that goes into producing this blog and the wheelchaircurling.com website. 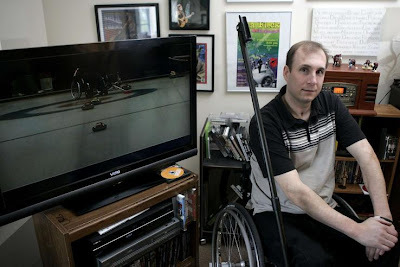 When Michael McCreadie stepped down as British and Scottish skip after the team's disappointing run of performances up to and including the Vancouver Paralympics, he said he hoped to rejoin the program at a later date. McCreadie continued to compete with some success on domestic teams skipped by partner Aileen Neilson, and the promise of significant changes to the national team's approach to the game under new National Coach Tony Zummack, prompted him to apply to the 2011-2012 Wheelchair Performance Program. The eight athletes selected are Aileen Neilson, Tom Killin, Angie Malone and Gregor Ewan from the 2011 Worlds silver medal team, Michael McCreadie, and newcomers Jim Gault, Ian Donaldson and Gill Keith. 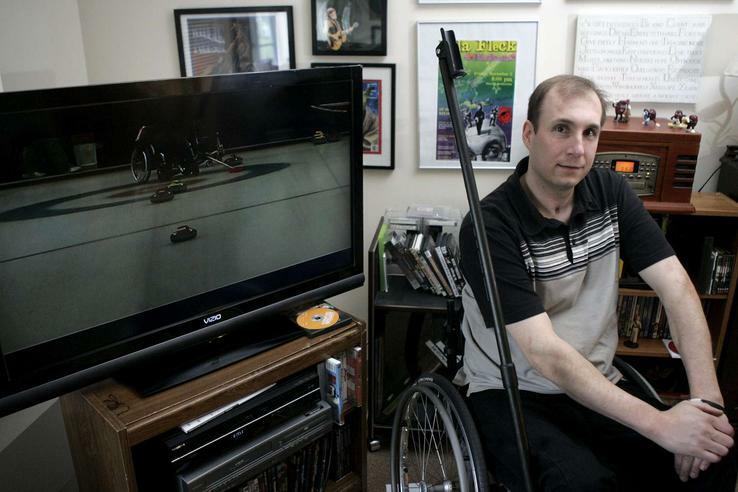 2011 World's silver medallist Michael McKenzie missed out but will have an opportunity, along with the other unsuccessful applicants, to be considered for the Scottish Wheelchair Curling Association's 'Spokes' Development Program. The talent identification and development effort promises to be an on-going process, providing incentives not only to current members to develop their skills, but to those who may yet challenge for a place on the Sochi Paralympics team in 2014. Debbie Earle, lead on Team Nova Scotia, was nominated for Female Athlete of the Year at the Annual Awards banquet of the Nova Scotia Curling Association. 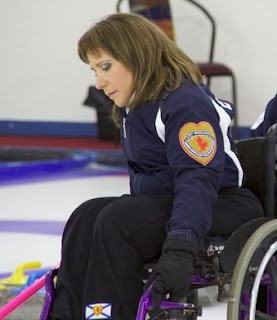 Debbie was voted All Star lead at the 2011 TSX National Wheelchair Curling Championships in Edmonton where she helped her team to a bronze medal, her Province's first podium appearance. 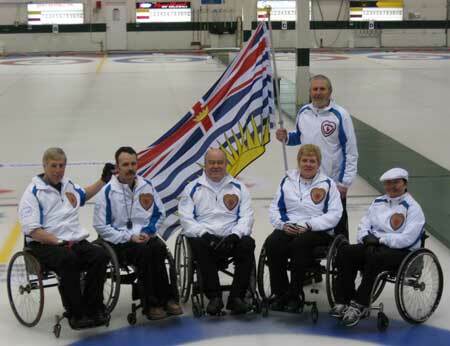 Gary Cormack, curling out of the Marpole CC has won CurlBC's annual award for "Athlete With A Disability." He skipped Team BC to a 4th place finish at the 2011 National Championships in Edmonton, and will be recognised at the AGM on June 11th. Team Canada will receive their World Championship banner during a presentation at the CurlBC AGM at the Richmond CC, Saturday June 11. Canada's national team coach Joe Rea will be on hand to give brief remarks and answer questions at 11.45am. Four of the five members of the team plus the coach live in BC. A full schedule of the day's events, which will also be available online via webcast, can be found HERE.